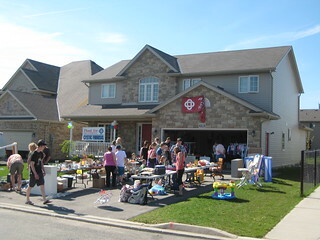 As part of our fundraising for Great Strides, we’ll be running a garage sale on Saturday May 19 2012 from 8am until 2pm. We asked some of our neighbours to participate. Ideally, we’ll be able to make it a street wide garage sale, with some of our neighbours participating. 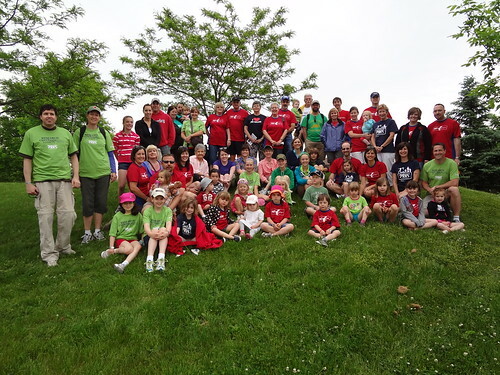 Last year’s event raised over $1,300. We are hoping to surpass that goal this year, and thanks to the generosity of friends and family, we have a lot more to sell this year than last. So, hopefully we’ll be able to surpass last year’s total. Hope for sun on Sat May 19! 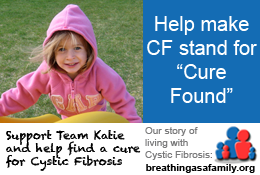 On Saturday May 19th we are having a garage sale to raise funds for Cystic Fibrosis. We will be donating our proceeds to charity. In making this a street wide sale, we can advertise it that way and hopefully there will be a lot more traffic coming through the area. And, we are advertising in the local paper to help promote the event. p.s. If the weather is poor on Sat May 19, we will reserve Sunday May 20 as the rain date for this event.